Thank you for visiting my website. My name is Terry Ivy. I was born in 1962 in Meridian, MS. I grew up in a non-Christian home and was turned off by much of what I saw in the ‘church world.’ I came to Christ in August of 1980 while driving a truck on a highway and contemplating suicide. Because of my ungodliness and rebellion I was at the end of my desire to live any longer. By His grace, the Lord intervened and arrested my heart, convicting me of my lost and sinful condition. I repented of my sins and by faith surrendered my heart to Jesus as my Lord and Savior. It was the greatest day of my life! Instantly there was a love in my heart for God, His Word, my fellow man and the Lord’s Church. After being regenerated in Christ, I immediately knew the Lord’s calling into ministry and I surrendered to that call. I began what would be a five year preparation time before entering into Christian ministry. (Even though I witnessed to everyone who would listen and spoke at youth retreats.) During this time, in 1983, I married my high school sweetheart, Susanne. She was actually the first person I was honored to lead to Christ. We have three wonderful grown boys: Joshua (born 1987), Joseph (born 1989) and Joel (born 1992). 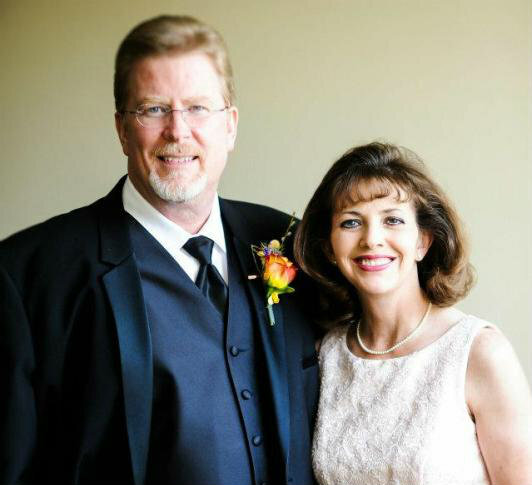 Rearing them and watching them come to saving faith in Jesus was certainly the highlight of our marriage. Here is the family the Lord has blessed me with. 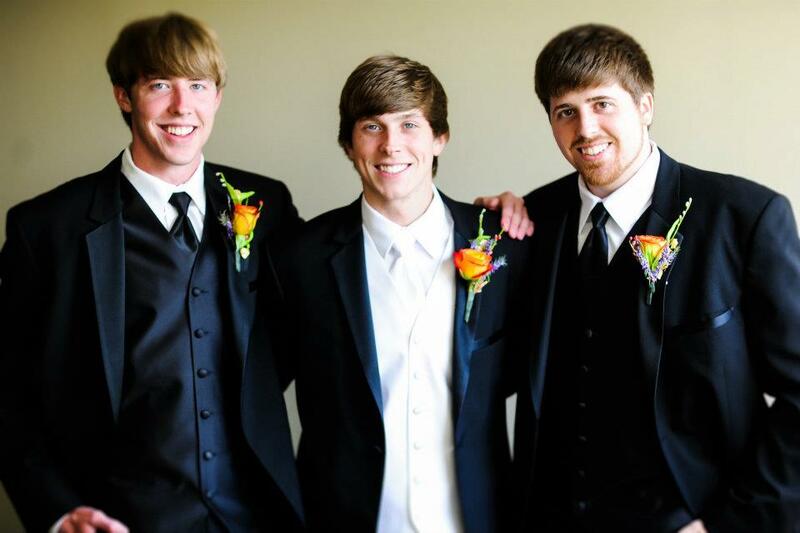 These photos are from my oldest son’s wedding in May 2012. L to R: Joel, Joshua and Joseph. In 1985 I entered into full time Christian ministry. I pastored a rural church for several years and was busy with revival meetings. Through the years, I have spoken across denominational lines from Missouri, the deep South and across to North Carolina, holding revival meetings and speaking on various topics relating to the Christian life. These include Baptist, Methodist, Independent, Full Gospel and Wesleyan churches. Also, I have been part of house churches, taught on radio, spoken to hospital and cancer survivor groups. Presently, I am serving as a Pastor of a church to re-cast their vision for outreach and ministry by working with a Leadership Team to develop and release ministries for taking the gospel to the neighborhoods and communities they live. Also, I am working with men from other states and cities to train them for leadership roles and help them plant churches in their state. The American Church must begin to ‘simplify’ church in order to reach our post-Christian culture. The days of self-absorbtion, introverted meetings, and comfort are over if we want to see genuine revival in America. My hearts burden is the planting of churches, training leadership, and speaking across various venues. I’m available to work with and under local church leaders for helping them in their location. I spend much of my time with community Bible studies, training leaders, mentoring young leaders, and writing extensively on various Christian subjects, and writing bible tracts/messages for evangelism in unreached villages in India. The American Church must adapt and learn to reach our communities through the ever changing dynamics of our social structures. I am a survivor of cancer; diagnosed in 2008 and after much prayer, chemotherapy and radiation, I have been cancer free since November 2008. PTL! Though my physical body took a heavy toll, the Lord’s grace during those couple of years was overwhelming. I call the time “painfully precious.” And though I have some permanent side effects from the harsh treatment regime, it presses me to look to the Lord’s grace for my strength…for this I am thankful! Also, along with my wife Susanne, we founded (2011) PROJECT INDIA, a ministry of planting churches in unreached rural villages in India. Through this ministry, we work interdependently with indigenous missionaries and pastors to provide training, support and mentoring for church planters. We are targeting areas with a total of over 700 villages that have no believers or churches. We have planted 162 churches since December of 2011. We have seen over 30,00 come to Christ and become part of these new church plants. Through writing and phone conferences, I am presently training 21 church planters. We also have one day conferences for our church planters and wives to provide support, encouragement and further training. Susanne oversees an Orphanage we have in one of the rural villages. This orphanage has 16 children as a result of a deadly flood which hit one of the villages and killed their parents. You can read about that here. 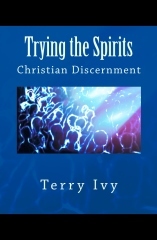 Over the years, I have authored several books dealing with needful areas within the Church. Visit the bookstore to see which ones are available in paperback, kindle and nook editions. These include the topics of Biblical Church Government, Christian Discernment, Prayer, Restorative Church Discipline, Rethinking Church etc. Presently, I am working on several other books, including a 52 week devotional to help those suffering through physical affliction. (Birthed out of my journey through cancer.) **Many these books are going through updates and edits and will be made available soon. I long to help believers and leaders become grounded in the deeper life and fulfill their call and ministry. I am not a ‘micro management’ or ‘there is only one model’ type of guy. I strongly believe that as we allow the Lord to take us deeper into His Holiness and Heart, that His Spirit will move and direct us into the dynamics which may be unique and necessary for our target people group. I am available to travel and speak at various venues, including churches, leadership retreats, conferences and leadership training meetings. I offer my experience to help other leaders and churches develop into their ministry potential, and to encourage others who have a vision to step out in faith. See the Helping/Speaking and the Contact page for more info.